If you’re already following me on Instagram, then first things first: thank you very much for doing so. That’s mighty kind of you. This may seem quite trivial but for what it’s worth, I’d like to take a moment to express my deepest gratitude ^^. Arigatou Gozaimashita mina-san. Now where was I? 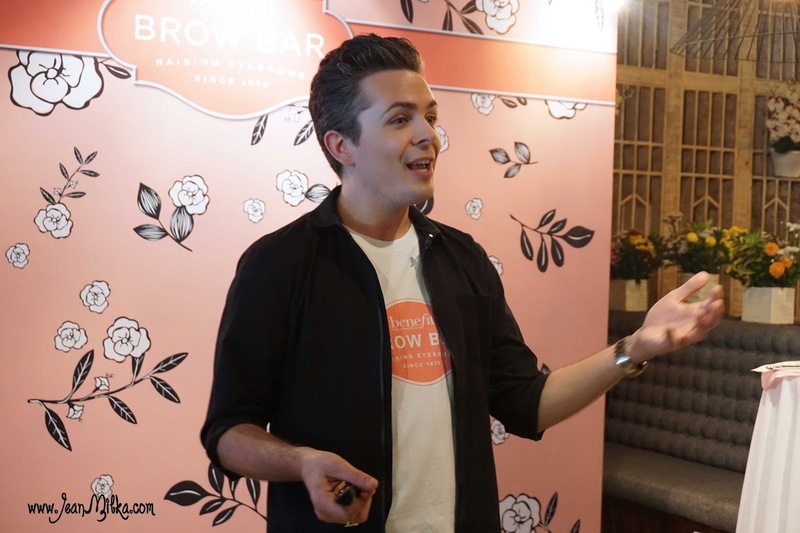 So if you’ve been keeping tabs on my Instagram account and have had the time to check-out the photos I posted on there these past few weeks, then you might have taken notice that earlier this month, I was invited to Benefit Brow’s Bar Event. In retrospect, I consider this particular event to be quite the game changer. 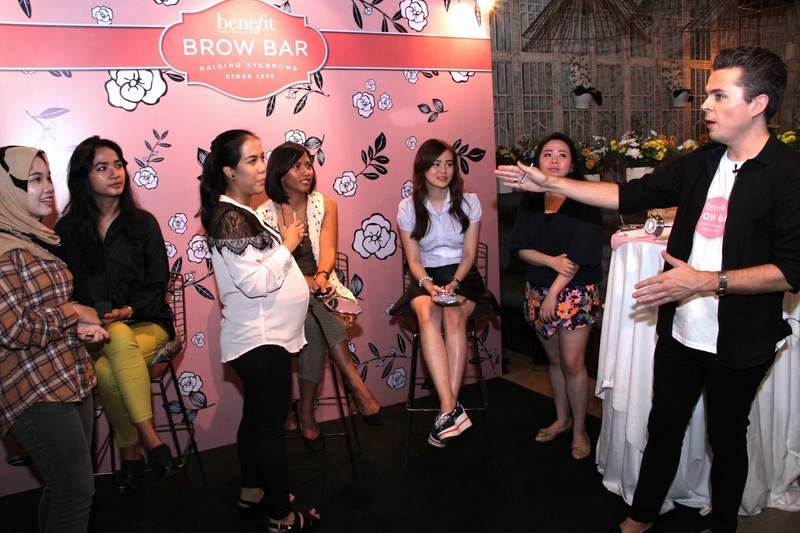 Mostly due to the fact that unlike the majority of Benefit Indonesia’s past events, most of which I’ve had the privilege of attending, this was no product launch event. 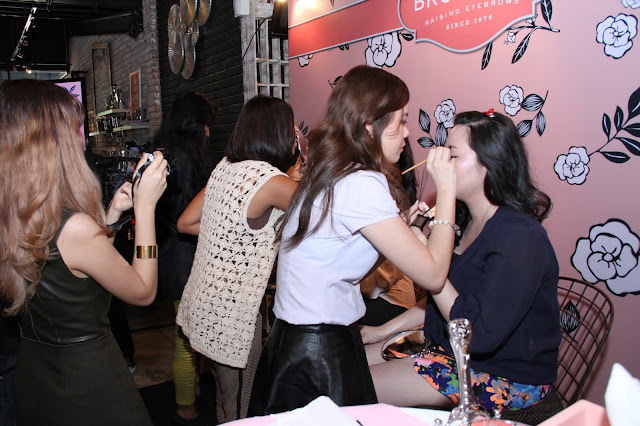 This particular Brow Bar event bolstered such a fierce albeit elegant theme: "Wow Brow Indonesia". 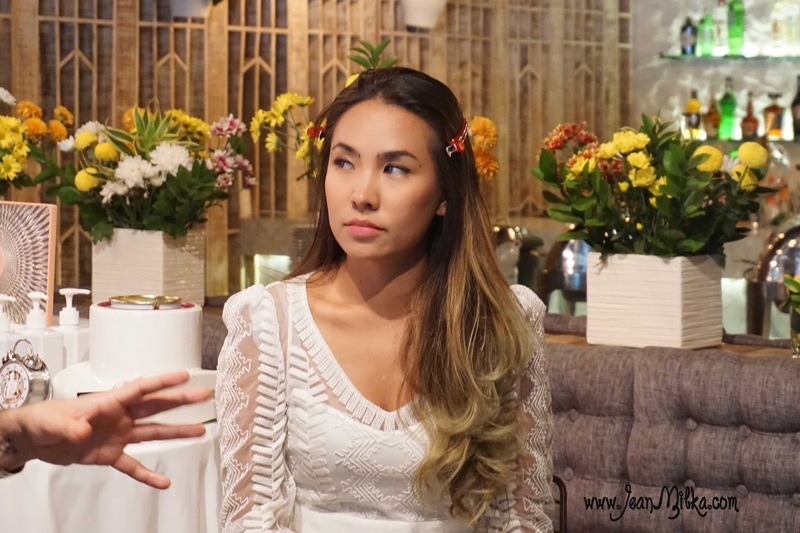 And when it came to appeasing their audience, Benefit Indonesia has been widely known as one of em hosts that would not hesitate to pull out all the stops to ensure they’d “WOW” the people in front of them. 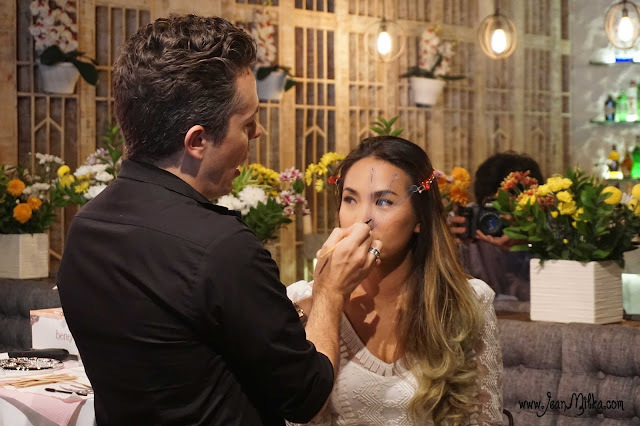 In this case, they decided to go the extra mile by inviting Jared Baily, Benefit Cosmetics International’s Spokesperson and Brow-Miracle-Worker if you’d ask me. The event was opened by Mrs. Daisy, the Brand Manager of Benefit Cosmetics Indonesia, who was kind enough to grace us with her presence as she assumed the role of MC of that day. Afterwards, Mrs. Daisy passed on said role to the person whose presence I’ve personally anticipated with a desperate longing; Jared Bailey. Jared shared some history about Benefit Cosmetics with us invitees. 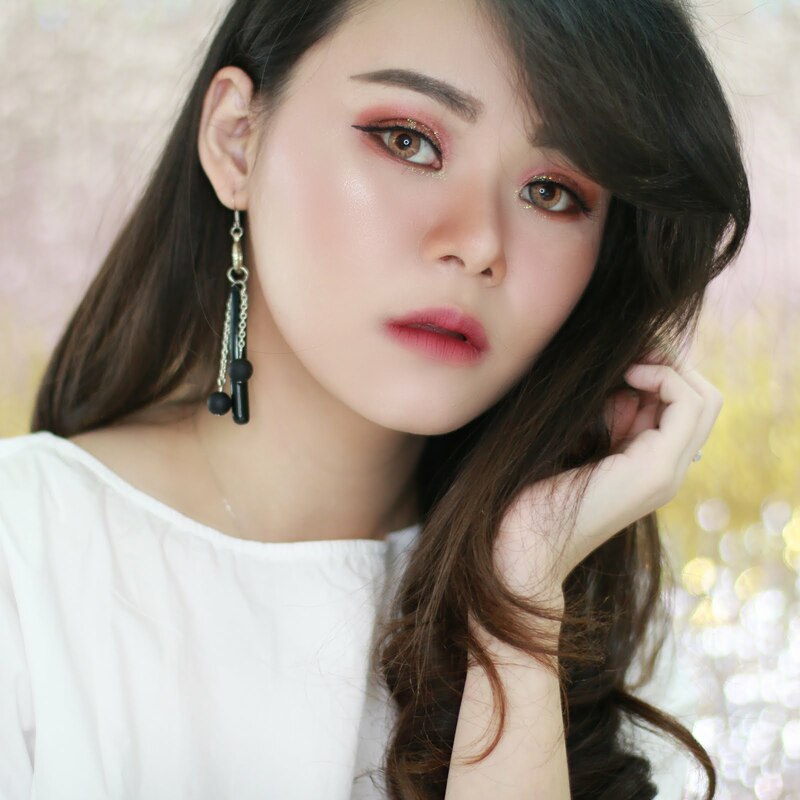 In short, he explained to us that Benefit Cosmetics originated from San Francisco, USA and was first established by the visionary twins Jean and Jane, each of which had successful careers working as a model and a make up artist. 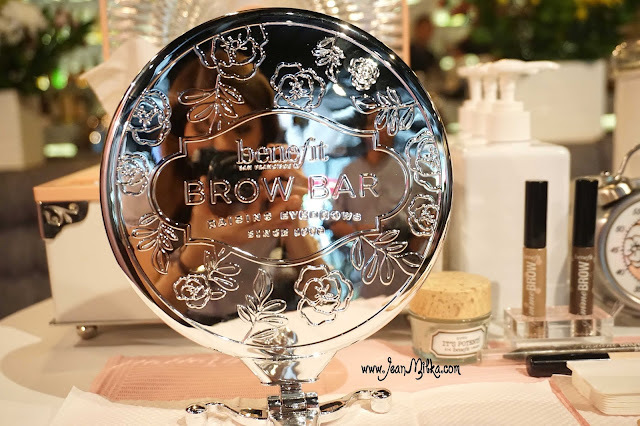 I learned from Jared that Benefit Cosmetics produce their own wax for their brow bar. Furthermore he advised me that said product is being withheld from the market. Regretfully, not only did Benefit Cosmetics decide to hoard the wax for personal use, but many other complimentary products you’d require to expedite the waxing process. For example; the brow mapping tools that I can only ever dream of purchasing, the cleanser, wax strips, cotton swab, etc. In Indonesia, Benefit only serves brow wax at this moment, although in truth Benefit also provides bikini wax. Step 1 : With brow mapping tools, you will be required to determine where your brow starts, where it ends and where is the arch is located. Starting Point : Line up the mapping tools. 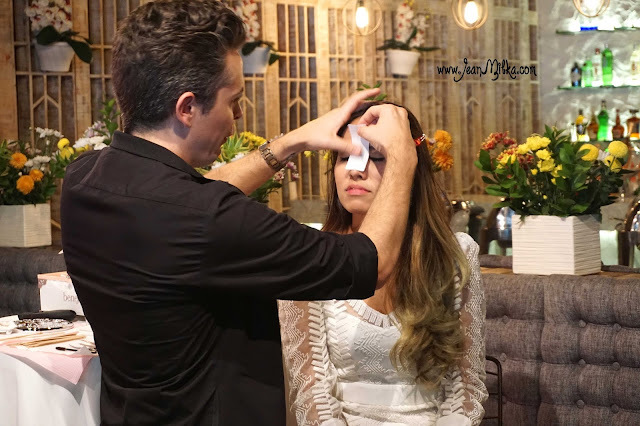 Alternatively, you can use a pencil or a ruler *anything with straight edges* so it touches the outermost of the edge of your nose and the inside of your eyes, that is where your eyebrow should start. The Arch : Position the straight edge so that it lines up with the outermost edge of your nose and the outermost edge of your iris. Don't forget that you should look straight ahead so you do not misplace your iris. That is where the arch should peak. End Point : Position the straight edge further so that it touches the outermost edge of your nose and also passes along the outermost edge of your eye. This tells you where the eyebrow should end.. Step 2 : Waxing process.. well I think this is not something you can do (or should ever attempt to do) without receiving advanced training from a certified expert so to speak. 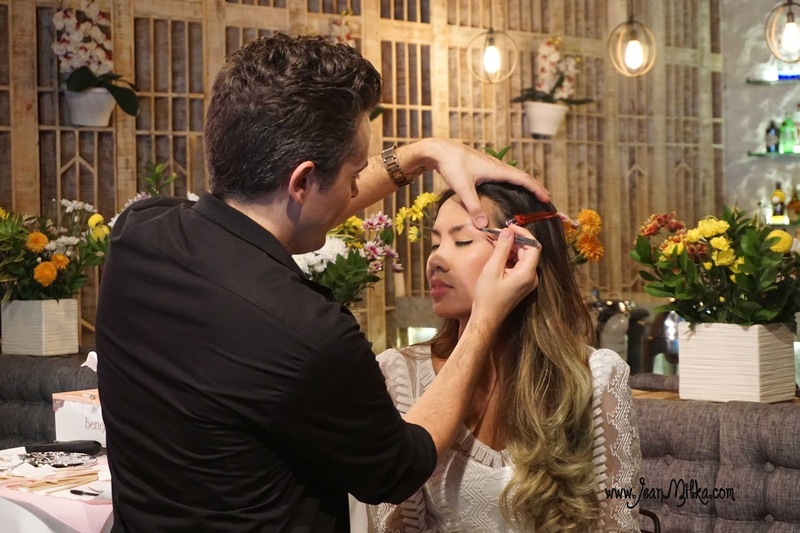 However, as far as theoretical sciences go, basically after you’ve determined the shape of your eyebrow, you need to carefully remove the hair strands that grows beyond the isolated areas in order for you to get the shape you want. One rule about eyebrows that Jared kept on highlighting, repretitively in fact is "it should be two" ^^. The shape of you’re your brows can magically change the shape of your face. 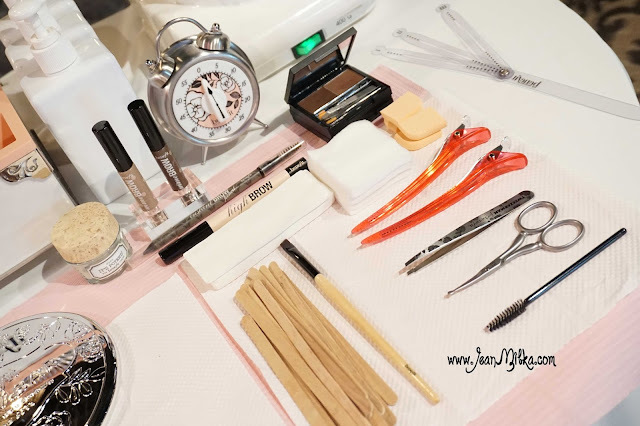 There are many girls out there (myself included) who are reluctant to leave home without filling their brows first. During the event, there the invitees were also challenged to shape their friends brows. 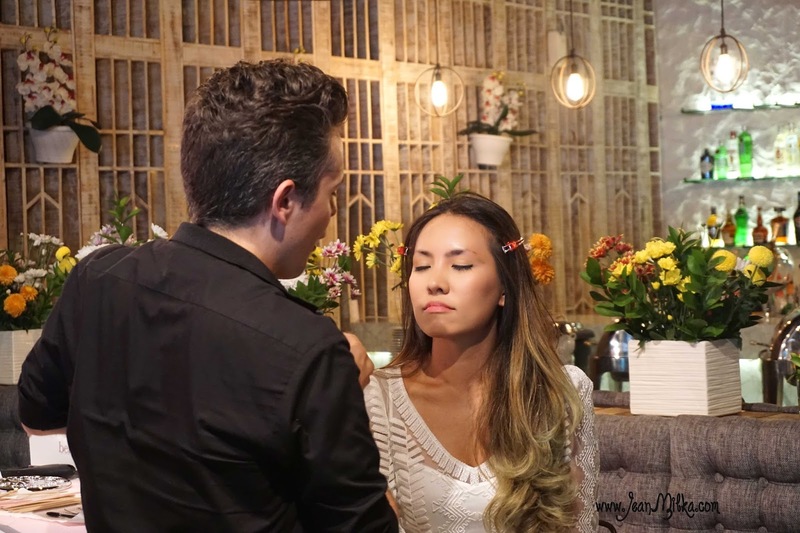 I partnered up with Theresia Feegie from Museswonderland. Feegie is quite the expert in shaping and carving the brows. As for myself... well, better safe than sorry. Having said that, never let me do your brows ^-^. I rather go to brow wax have them do what they do best, than try to pluck my eye brows on my own. I’m pretty sure that if I chose to push forward on my own, it’ll undoubtly be disastrous for me. 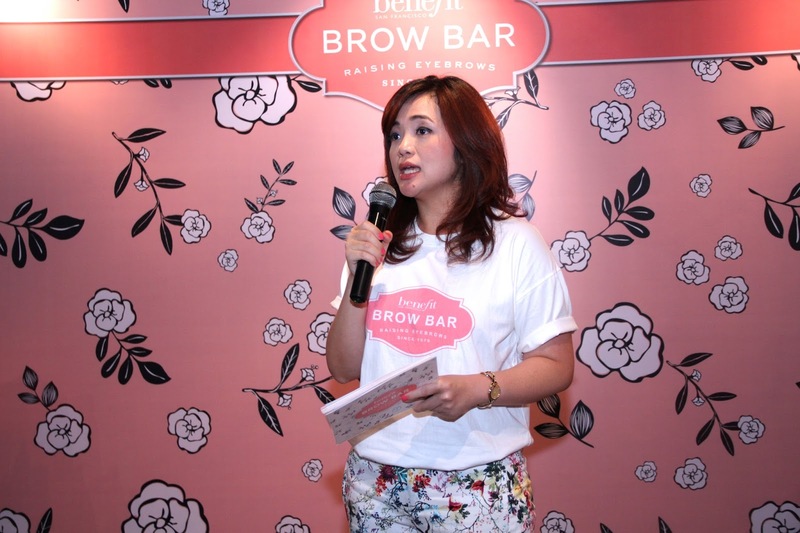 That's why I am so happy to learn that Benefit Brow Bar has established several counters in Jakarta. 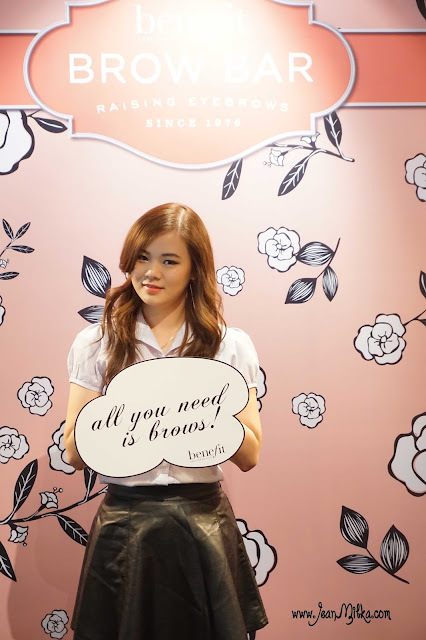 You can also treat yourself with brow wax by visiting the nearest Benefit Counter. 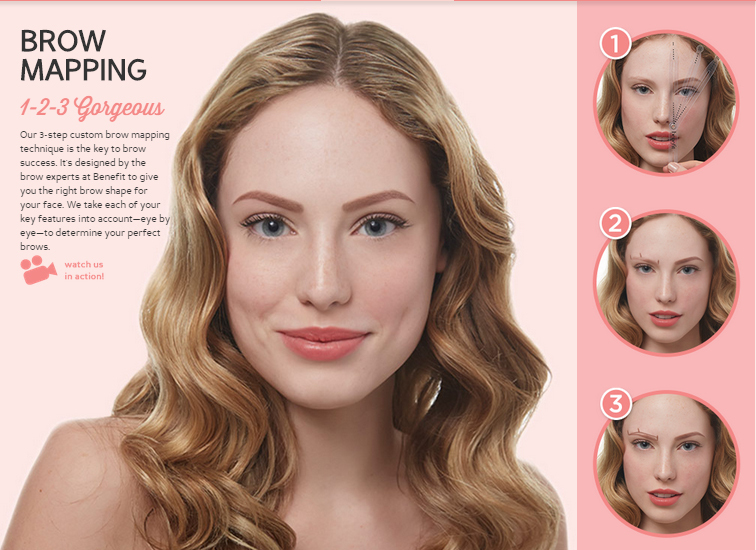 Readers : have you ever try eyebrow wax? where? and how is it? 4 komentar on "Wow Brow with Benefit Cosmetics and Jared Bailey"